McLaughlin Paper Co. Inc. is a privately-owned family business supplying the packaging, retail and specialty paper industries. Dan McLaughlin is President and Founder with over 35 years experience in the industry. Many of our valued suppliers and customers go back to those initial days. We are Your "Partners in Business". 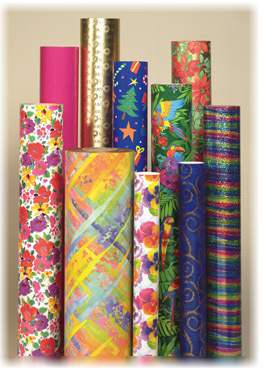 We provide quality specialty printed papers, foil, decorative tissue and holographic designs in both paper and board. Call us at 1-800-842-6656 or E-mail Us so we can help you further.